Consumers expect the highest quality. 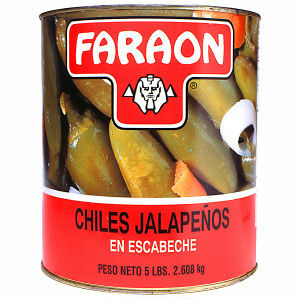 Crisp and delicious Faraon jalapeno peppers will exceed expectations in a convenient 92 ounce can. For food service or large families. Faraon Quality is guaranteed.